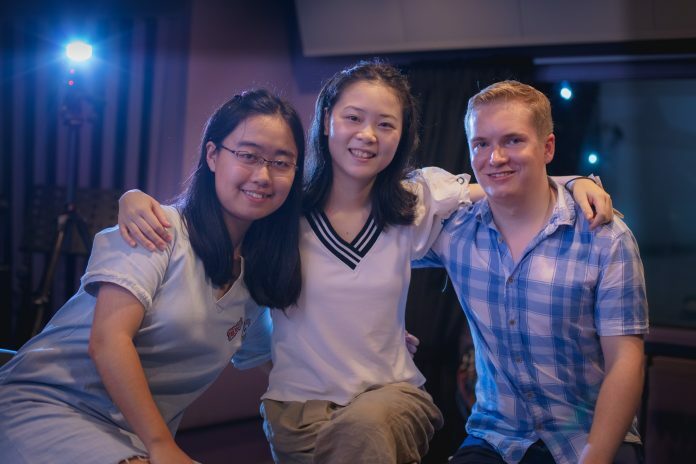 Hear from 3 passionate international students on their experience with our unique curriculum and what they got out of it. The enthusiastic trio worked together on a game for the Computation Structures course. 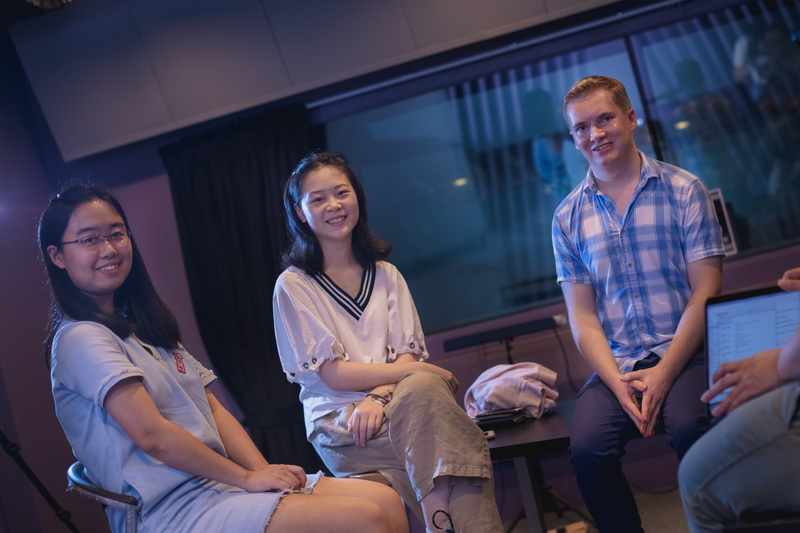 All three are international students at SUTD’s Information Systems Technology and Design (ISTD) pillar: Zhu Dan and Shanshan are second-year full-time students from China, while Ville-Pekka is an exchange student from Finland’s Aalto University. Welcome to Singapore! Let’s jump straight into it. Why did you #ChooseSUTD? 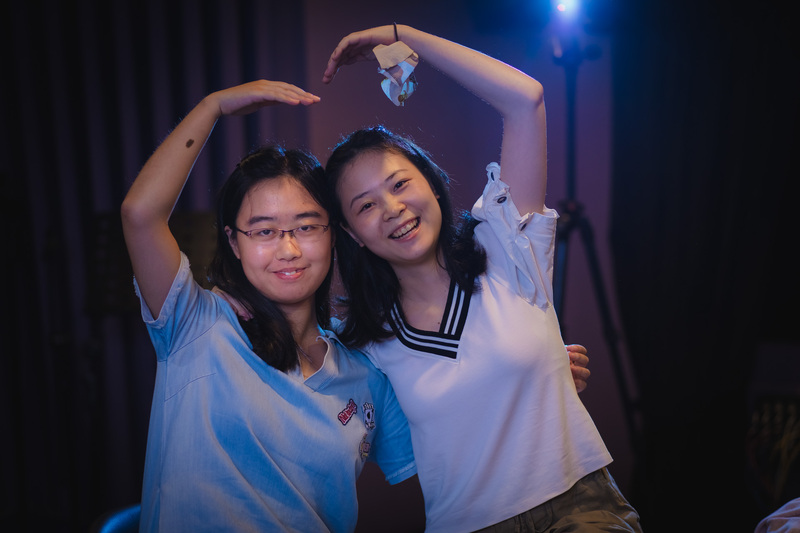 Shanshan (SS): When I was considering studying in Singapore, I read about the universities here and I like how SUTD is trying a different approach to an engineering education. Technology is changing so fast and I feel SUTD would better equip me for the future. 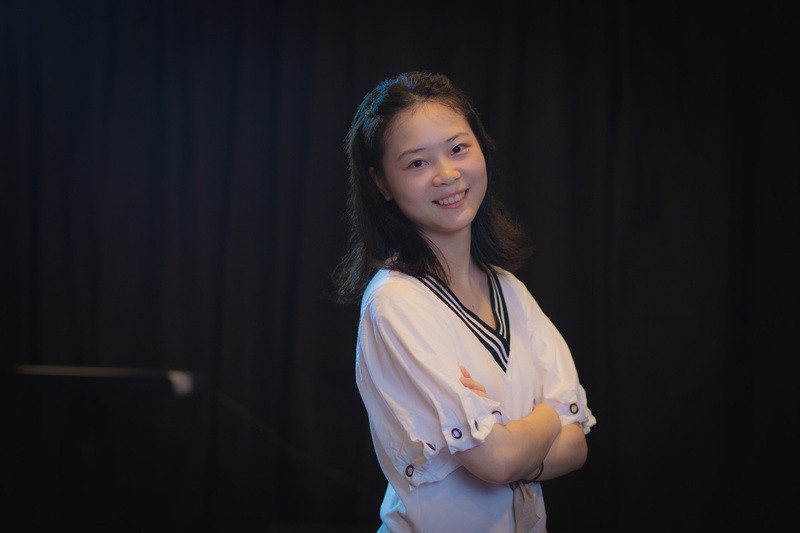 Zhu Dan (ZD): I already knew I wanted to specialise in Information Systems Technology and Design and go into software engineering, but I like the idea of a multi-disciplinary education at SUTD. Everybody takes the same general courses in the first year and I think it’s great that we’re exposed to different subjects. 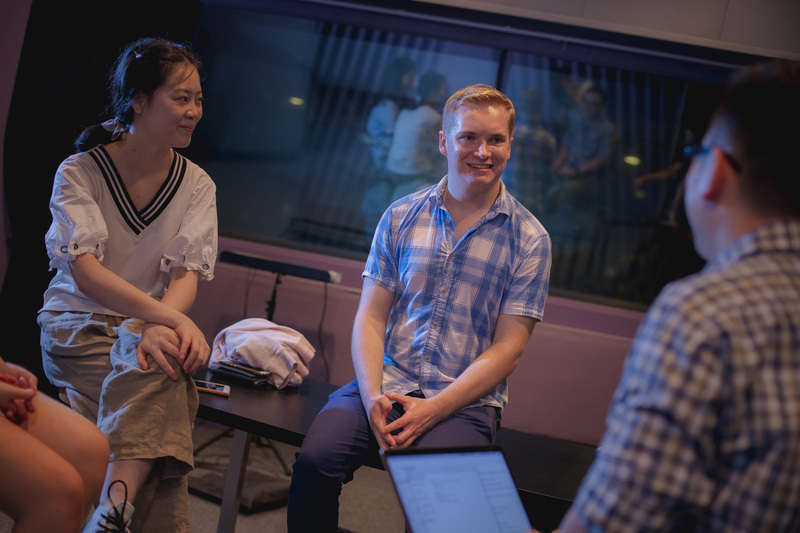 Ville-Pekka (VP): I found out about SUTD when I was deciding on where to go on exchange. I wanted to come to Singapore because it’s an interesting city. I considered the other Singapore universities but the courses at SUTD were more interesting! So what do you enjoy most about studying in SUTD? 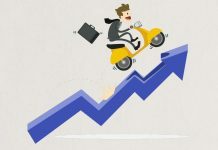 ZD: I think the most impressive course in the freshmore year— I think it could be the same for many students — was 3.007 (Introduction to Design). It’s a very special course because you have to pitch your idea, then design both software and hardware to solve a problem. It was a good experience because I enjoyed working with my team. SS: I really like the HASS (Humanities, Arts and Social Sciences) component. It’s very special that 20% of our credit requirements in an engineering school is in these non-engineering subjects. In my freshmore year, I took a course in philosophy and I really enjoyed learning about how philosophers look at the world. It’s about questioning everything! I spoke to a friend studying engineering in another Singapore university and he said that while they have to take electives, they don’t have much opportunities to get exposed to humanities topics over the four years (of undergraduate studies). 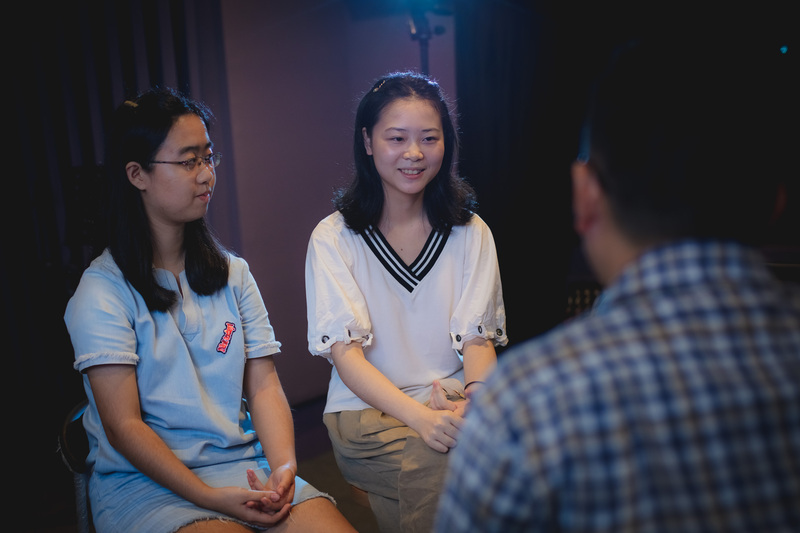 VP: There are definitely more group projects in SUTD than in my own university, and the projects are my favourite part about studying at SUTD because I like working in teams. What challenges do you face as international students in SUTD? Are the systems very different here? SS: When I was in high school in China, every day was strictly regulated; I had to do this at this time, do that at that time. When I came here, nobody told me what to do! As an SUTD student, I have to select courses myself, choose my pillar, choose what to focus on doing each day… I had to figure it all out myself. ZD: For me, the first term was very stressful because there are so many projects. I had to learn how to write code, do slides and prepare for presentations. But I have since gotten used to it! VP: Sometimes there are too many projects ongoing at the same time. My fellow Finnish exchange students had the same problem, but it’s okay because I enjoy it! As an international student, you are our ambassador, especially to potential students overseas. 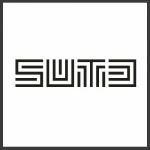 Would you recommend SUTD to your peers? SS: I think SUTD teaches practical problem solving skills through lots and lots of projects. I really felt the difference in the real world during my summer internship. The four of us from SUTD collaborated really well and figured out problems really quickly. So I think if you want to be an engineer and a leader, you should get hands-on experience and that’s what SUTD gives you. But you must be prepared to handle the stress! ZD: Yes, I would definitely recommend SUTD to those who are good at self-learning and time management! SUTD teaches us a lot of practical skills and I think this prepares us well for the future. country. And the weather is better here than in Finland! Aspiring engineers, here’s another reason to join SUTD: We topped the list of emerging engineering schools in the world! #ChooseSUTD to be a next-generation leader in engineering and technology.